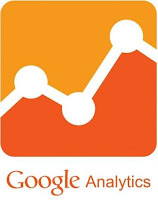 Google Analytics is best visitor tracking tools and its completely FREE! 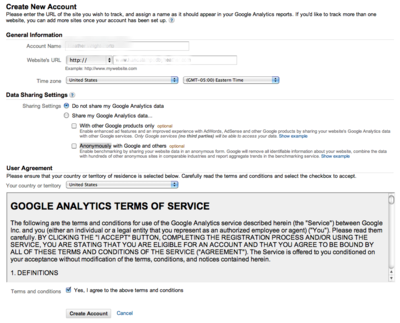 First you have to go to https://www.google.com/analytics/web/ and either sign in with an existing Google account or create a new one. On the next screen you have to enter your account name. 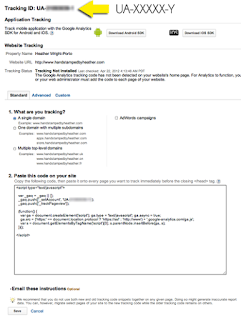 And also you have to provide your blog details, as you may later add more sites to track from this one account. Note: You do not need to create multiple accounts. 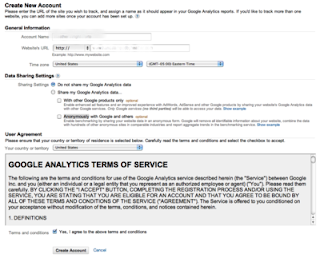 Provide your desired account name and any other information. Read and accept the terms (If you do accept them and wish to continue). After clicking Create Account you'll get "Success" message and then come to a next screen below. 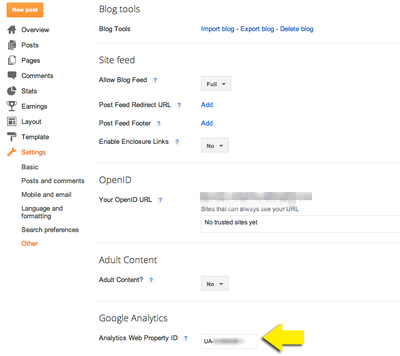 Note your UA Google Analytics ID mentioned at the top. 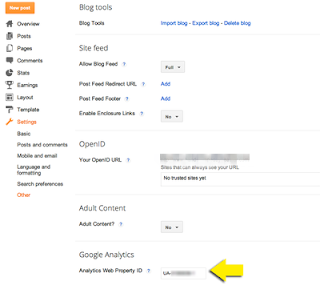 From the dashboard go to Settings, and under the Basic tab you can find the Google Analytics box as highlighted below Or if you are using the new Blogger interface, you will find it under Settings, then Other, as shown below. Click Save. 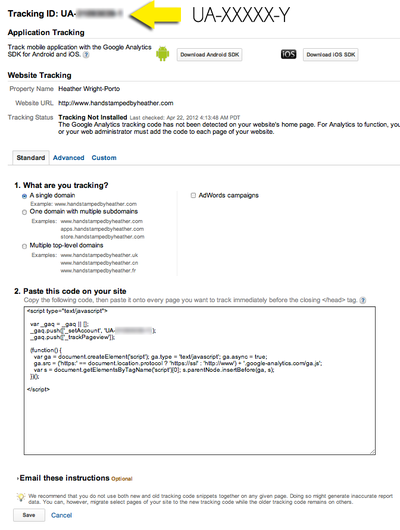 And that's it now wait for few days before your Analytics will begin populating with traffic to your site !